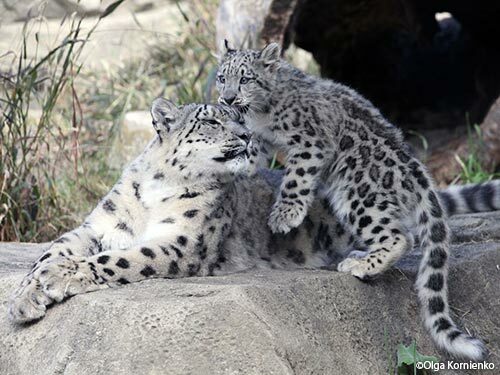 Our male snow leopard cub, Sossy, is now 7 months old. Although he weighs just over 40 pounds, he looks much larger due to his very thick winter coat. He’s eating approximately 2.5 pounds of food per day. 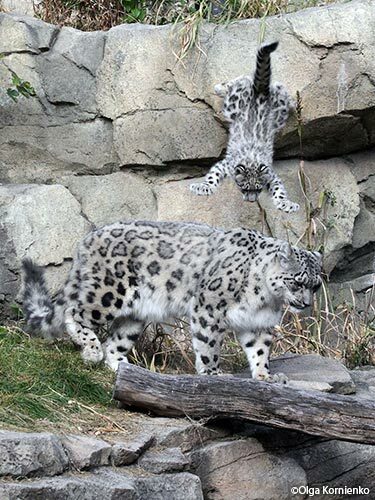 His climbing skills have really improved and he’s discovered that he can watch the cheetahs from the top of his outdoor exhibit. 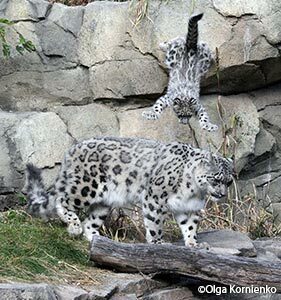 He’s quite playful and is often seen chasing mom, Tomiris, around the exhibit and dive-bombing her. Both Sossy and Tomiris have really enjoyed the snow! Sossy loves his toys, but like any youngster may grow tired of the novelty. Please consider donating an enrichment item for Sossy from our Amazon Wish List, or make a donation for any of your favorite Zoo animals. 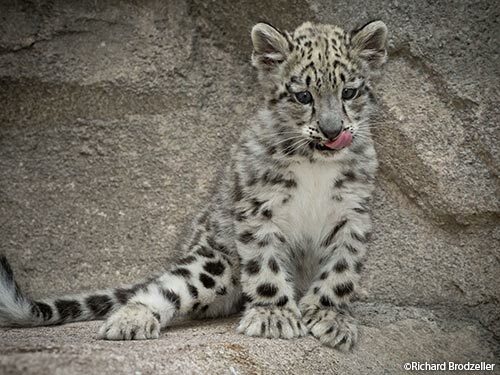 A snow leopard will wrap its long tail around itself to stay warm. 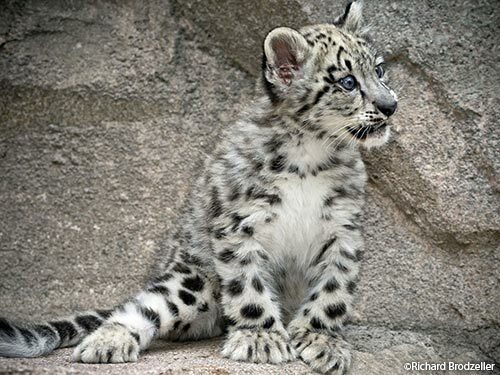 In the wild, snow leopards are found in the mountains of Central Asia.